Dan returns to the fold this week, just in time to join Chris and Rachael to discuss the work of Studio Ghibli's Isao Takahata, in the week the new version of Takahata's Only Yesterday reaches UK Cinemas. First though, it's time for some news, as we talk about the surprising announcement that WW2 Propaganda anime Momotaro Sacred Sailors is coming to the US, (0:03) and the exciting clips from Voltron Legendary Defender (0:09). Then we talk about what we've been watching which includes HBO's Animals, (0:21) Cowboy Bebop The Movie (0:34) and Samurai Champloo (0:36). 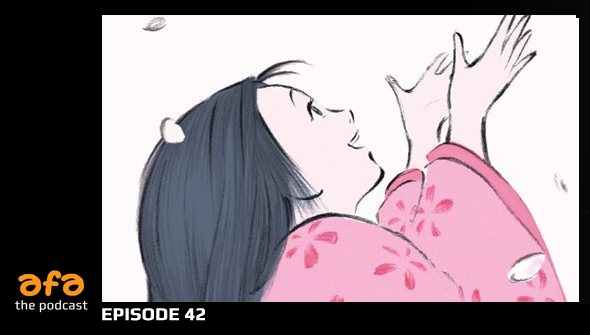 After that, Dan pays tribute to late Ghibli animator Makiko Futaki (0:45), before heading into our Takahata chat (1:03-2:00)! Please consider Supporting Us on Patreon from $1 a month to get an extended edition of this episode with extra content, as well as access to bonus episodes.